It says error, dash has already been checked in. My red card was declined. I’ve called numerous times, got a endless hold twice and got disconnected twice. Now I cannot get back to the screen where I can call you. I have waited and hour and a half for my order and then it is up and canceled on me! Why was my order canceled? My red card was declined and i could not get through to customer service so my customer canceled the order. And i dont want this to be marked against me but it is impossible to contact a representative. 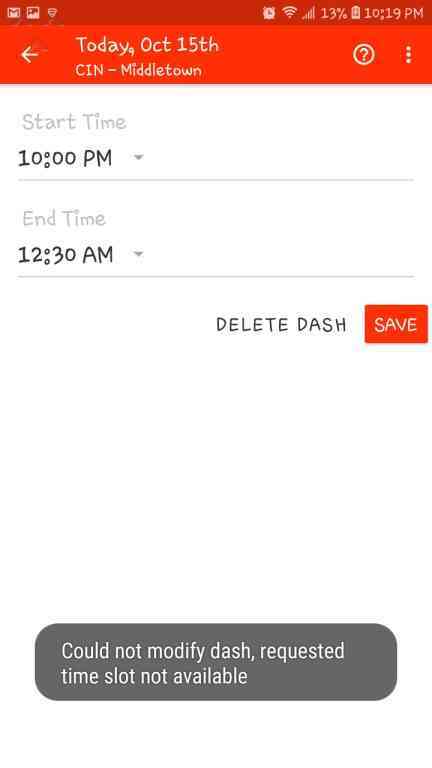 DoorDash - Got charged without making an order. Door dash froze while I was trying to make an order. You guys charged me still with out making the order. I called SU POLLO and they didn’t receive any order nor did I via email confirmation. So I want to know why I got charged if nothing was ordered.